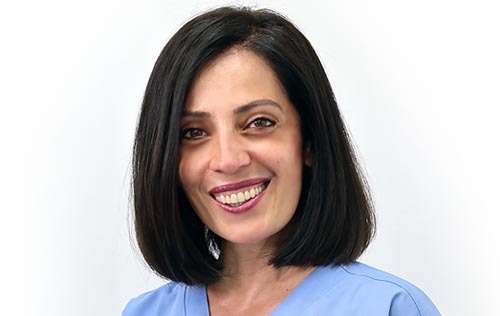 After qualifying from The Royal London Hospital in 1992, Dr Shahrzad Rahbaran held a number of hospital positions in Restorative Dentistry and Maxillofacial Surgery, obtaining the Fellowship of the Royal College of Surgeons of England in 1995. Dr Rahbaran joined the MSc Endodontic programme at The Eastman Dental Institute, and in 1999 completed the MSc with distinction. She went on to lecture postgraduates full-time at The Institute until 2002. In April 2002, Dr Rahbaran gained the MRD RCS (Master of Restorative Dentistry) and entered the endodontic specialist list. She continued to lecture on a part time basis until 2011, and has had articles and abstracts published in international dental journals. Dr Rahbaran has been on the executive committee of the prestigious Langham Endodontic Group since 2009 and served as the president of this group from 2014 to 2015.